Sign up today for our e-newsletter and stay up-to-date with the latest WSI news, including early bird registration, speakers and professional sessions, technical tours, the expo hall, and much more. "It's important to keep current on research, emerging technologies and operational best practices for delivering safe water. The Water Smart Innovations Conference is not to be missed. It consistently provides a great opportunity to learn from experts from across the globe and stay water-smart in this increasingly-dynamic field." "WaterSmart Innovations is a unique, power packed forum where thought leaders in water share innovative technologies and real world case studies. Everyone who owns, manages, or services properties with a water footprint should definitely attend." 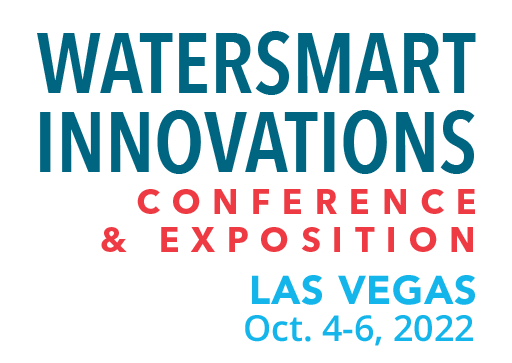 "We exhibit year after year at WaterSmart Innovations because it's the one event where we can interact with a targeted audience that's very relevant to our business, the irrigation industry and learning about water efficient products and services." "...an amazing conference for interacting with the latest and greatest in water sustainability solutions. Such a diverse group of attendees and presenters from all segment of the water innovations world. Audubon International is proud to partner with this critical platform for conversation as we face ever-evolving water concerns." "WSI is one easy place where those of us in the irrigation industry can get to know and influence others in water supplier/governmental/non-governmental organizations. The common bond is water use efficiency." WSI will open “Early Bird” full-conference attendee registration (at $335) on Wednesday, May 1. After Saturday, June 1, full-conference registration will be $395. Register early and save some money by using the authorization code gettheworm. George Hawkins, former CEO and general manager of DC Water, will deliver the keynote opening address for the 12th annual WaterSmart Innovations Conference and Exposition in Las Vegas on Wednesday, October 2. Hawkins launched his leadership and innovation-focused consulting business Moonshot LLC, and a parallel non-profit enterprise Moonshot Missions, after stepping down from DC Water, where he served for 11 years, including several as a Board member. 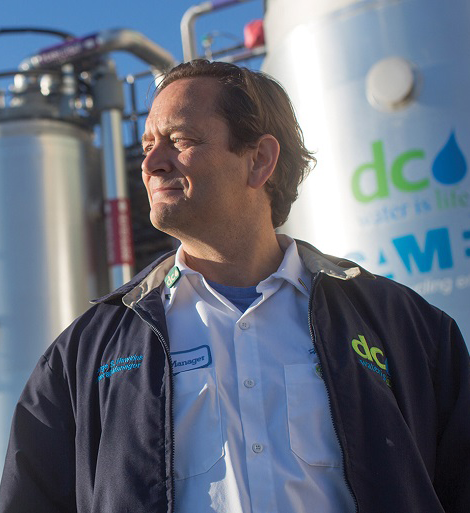 During his tenure, he became well known across the water sector for transforming DC Water into an innovative, customer-driven enterprise, while tripling its investment in clean water. Hawkins serves on the National Infrastructure Advisory Council, and is a strategic advisor to Xylem, Inc., one of the world’s largest water technology companies. He also is an Executive in Residence for XPV Water Partners, a private equity firm that focuses on innovative water technologies, and as a Professor of Practice for American University’s School of Public Affairs, where he teaches graduate students about urban development, infrastructure and innovation. Prior to joining DC Water, Hawkins was Director of the District of Columbia Department of Energy and the Environment and served as Executive Director of several non-profit organizations in New Jersey, including the Watershed Institute. He previously held senior positions with the U.S. Environmental Protection Agency and the law firm Ropes & Gray. Book mark WaterSmartInnovations.com, sign-up for our e-newsletter, and follow us on Twitter and Facebook for updates and more information about this year’s conference. If your company or organization has a water-efficiency product or service to share with professionals from around the world, then be sure to reserve your space in the WSI Expo Hall. Beginning March 25, exhibit booths measuring 10’ x 10’ are available for $1,845 each. Book your exhibit space and pay a 50 percent deposit by May 1, and your company/organization will receive two (2) full conference registrations for your staff, giving them access to the Awards Luncheon on Thursday, October 3 and all professional sessions. For more information, go to the Expo tab or contact Jennifer Picchione at jen@watersmartinnovations.com.